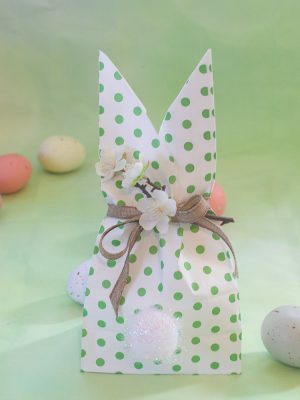 These cute bunny treat bags would be fun to make with the kids. They are simple to put together. 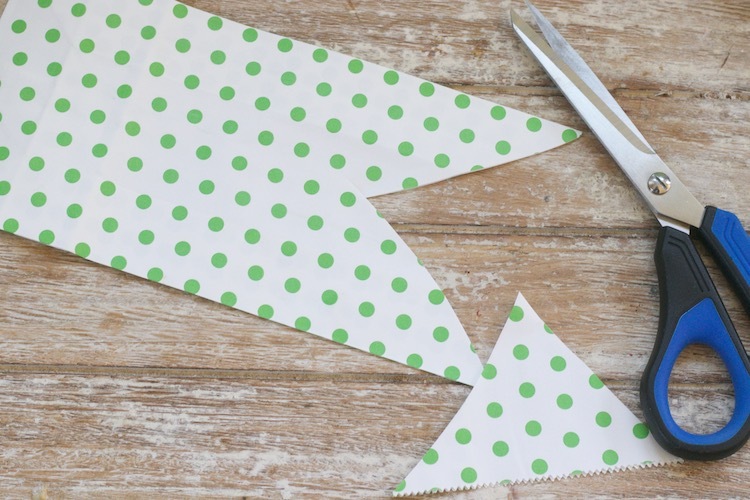 You can give them as gifts or even use them as decorations around your house. 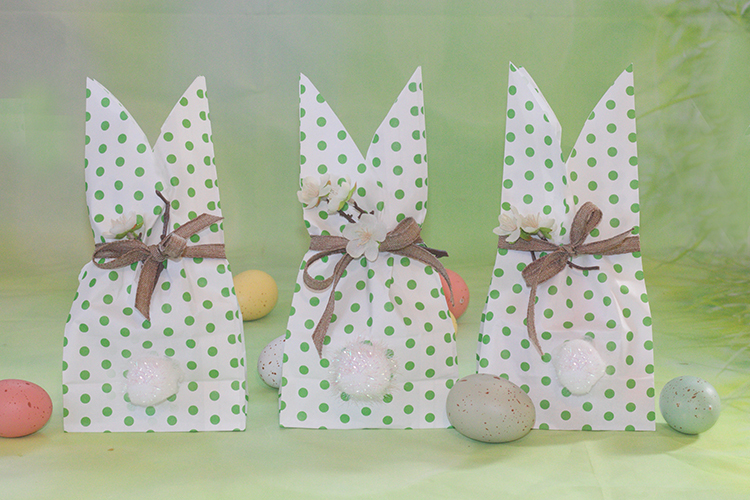 Simply cut out a section of the top of the bag to make bunny ears. 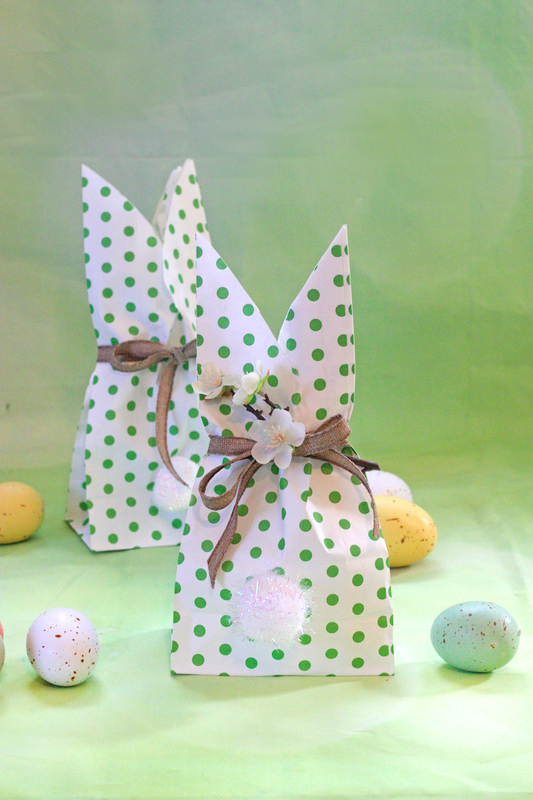 Open the bag and add some Easter treats, or stuffing if you plan to use them as decorations. You could even just crumple of some paper or a plastic grocery bag. Glue on pom pom for tail. Tie it closed with a ribbon, and add a small stem of flowers into the ribbon.